Welcome to the 11th edition of the Language Creation Tribune! Yes, the Tribune’s schedule has been slipping a bit as of late, sorry about that. It’s bound to happen as we are a volunteer organisation, and we all have jobs and lives that need attending to once in a while (I know, how dare they demand such attention!). On the subject of jobs and lives, some of you may have noticed I haven’t been easy to reach lately. As it happens, I’ve started a new job recently (in the same company I’ve worked for for the past 11 years, but in a completely different department), and this is taking up most of my time. Also, as you may have noticed, spring has arrived (at least in the Northern hemisphere), and so have my allergies! I’ll survive, but it does mean I am only at 50% capacity at the moment. 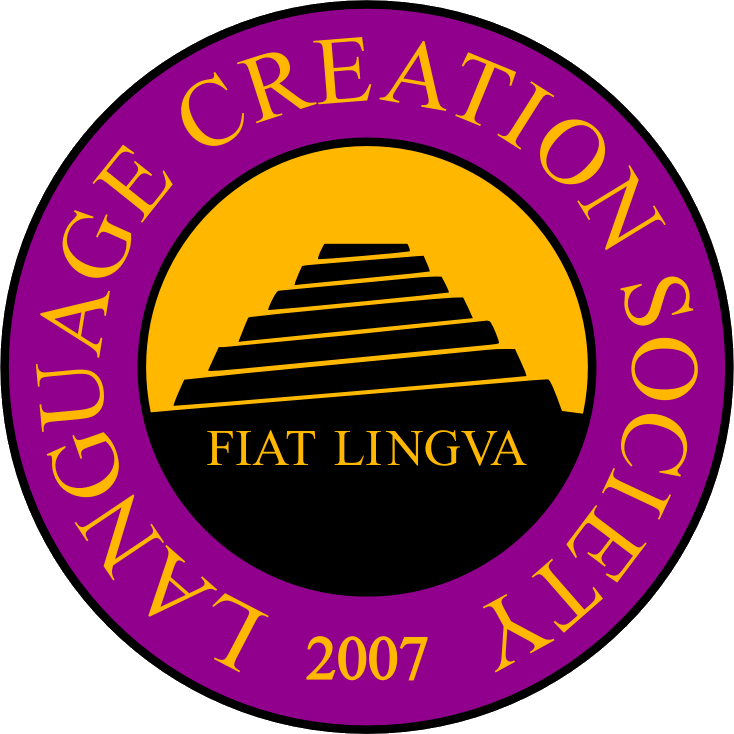 But don’t worry, as all this stuff will not prevent me from attending the big event of this year: the 7th Language Creation Conference! By the time this column is published, the LCC7 webpage will have been updated with the programme schedule, and registering will be open. I advise everyone to register using that link, especially if you are not a Canadian citizen, as you may need an official letter of attendance to help you cross the border, and the registration process will take care of generating one for you (you can also contact local host Joseph Windsor for such a letter if you need one but don’t want to use the form–for instance if you want to register at the door). Non-Canadian citizens who are planning on flying to Canada should also make sure they have all the documents they need. Even if you are visa-exempt, you will most likely at least need an Electronic Travel Authorization, so you shouldn’t wait too long before applying for one. The best way to handle this is to go to this site and answer all the questions given truthfully. You will then be given all the information you need. The LCC is one of the few occasions most of us (including myself) get to meet other conlangers face-to-face, and this fact alone makes the LCC a special event indeed. But this LCC is shaping up to be one extra special event: besides the “usual” talks (and we were once again overwhelmed by the quality of the proposals), attendees will be able to watch the full Conlanging Documentary, as promised, at the Plaza Theatre! This will be, as far as I am aware, the first actual screening of the documentary since its completion. As you can imagine, we are all very excited about it. As I state above, I will be at the LCC on the 22nd and 23rd of July in Calgary, and I am looking forward to meeting everyone there. See you there! So I was perusing back issues of Fiat Lingua (the LCS’s monthly online publication of scholarly articles regarding conlanging), when I came across the July 2016 article by Étienne Ljóni Poisson regarding “Absolute Descriptives” in his Siwa conlang. In reading it, I noted the author ends the article with an enticing little paragraph: “Siwa certainly has other novel grammatical constructions that are worth exploring…” followed by some example topics from the official Siwa Grammar. Needless to say, my curiosity was piqued by the promise of “novel grammatical constructions”, as I am always on the lookout for the innovative and unusual in conlangs. So I decided to take him up on his offer (or perhaps call his bluff) and find some of these promised novel constructions in the Siwa grammar. I figured I was in for a treat upon discovering that Siwa’s influences include Finnish, Northern Sámi, and Georgian. Ljóni, as he apparently likes to go by, is a graduate of the University of Iceland, having studied Icelandic, Finnish, linguistics, organic chemistry and biochemistry, and currently resides in Sweden doing graduate studies in organic synthesis at Linköping University. Google managed to turn up a PDF version of the grammar and, lo and behold, I found myself quite taken aback by this masterful work. What a showcase of the art of language construction! At nearly 800 pages, the grammar is one of the most thorough and well-organized I’ve ever seen, on par with Matt Pearson’s grammar of Okuna. And while one might assume that such a lengthy tome implies overly-complicated explanations and endless delving into the intricate details of petty linguistic arcana, in fact, each section of the grammar is remarkably straightforward and comprehensible, and illustrated by plenty of example phrases and sentences. The coherency of the work as a whole is remarkable. The work opens with a nice section on his Alopian language family (of which Siwa is a member) including con-history, diachronic evolution of the member languages, some nice con-cultural and ethnographic bits and, of course, the requisite map. Agentive vs. Unagentive verbs: Siwa verbs inflect for two values of agentivity. As one might expect, AGENTIVE verbs indicate that the action is performed volitionally/willingly/consciously, while UNAGENTIVE verbs indicate involuntary and affective states like being wrong, being hot/cold, seeming to be something, growing, experiencing emotional states, etc. Where things get interesting, however, is a phenomenon the author calls “ambiguous agentivity”, where an agentive verb switches to unagentive, and vice-versa, for various rhetorical purposes, as shown below. Agentivity also comes into play in another interesting Siwa grammatical construction called “double agentivity,” which corresponds to English constructions of the type X wants/needs Y to Z. Anyway, I’m gonna sign off now from my beehive-counter and go for a drive in my spin-turtle! All LCS members are welcome to check out books free of charge! The Library will be closed July 22 to August 17. The First Conference on the Interslavic Language (CISLa) took place June 1 and 2 in the Czech Republic, and Jan van Steenbergen was one of the speakers (see:http://cisla.slavic-union.org/program.html). David J. Peterson taught a conlanging course, “The Linguistics of Game of Thrones and the Art of Language Invention,” this summer at UC Berkeley. Nina-Kristine Johnson published a book about her conlang on April 28; it is available as a paperback and Kindle ebook.